Our academic centers allow students to explore new ways of thinking about the world and their role in it and learn to apply their education to the benefit of mankind. 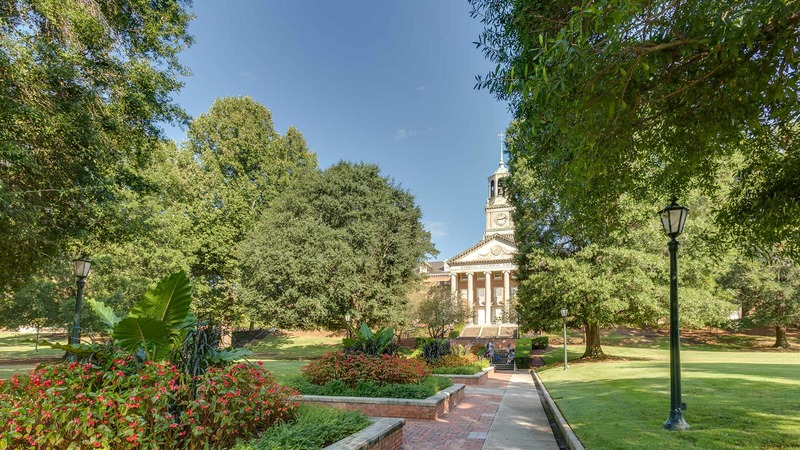 Academic rigor is a hallmark of the Samford University experience. Samford students find challenge in traditional disciplines and classroom settings but also in the multiplicity of cocurricular and extracurricular opportunities that are available through special academic centers and institutes. Some are tied to a specific academic program, while others are interdisciplinary. Led by dedicated faculty members and other mentors, students can explore new ways of thinking about the world and their role in it and learn to apply their education to the benefit of mankind. Several of the centers utilize the academic resources of Samford to provide learning, service opportunities and other assistance for the community-at-large.